Check out this well written post by Joe Settler on secular coercion and sexual harrassment..
Click here to see Matisyahu's new music video for the song "Jerusalem". The all new Healthy and Fit Family Carnival has its first edition posted. If that interests you, check it out over here. 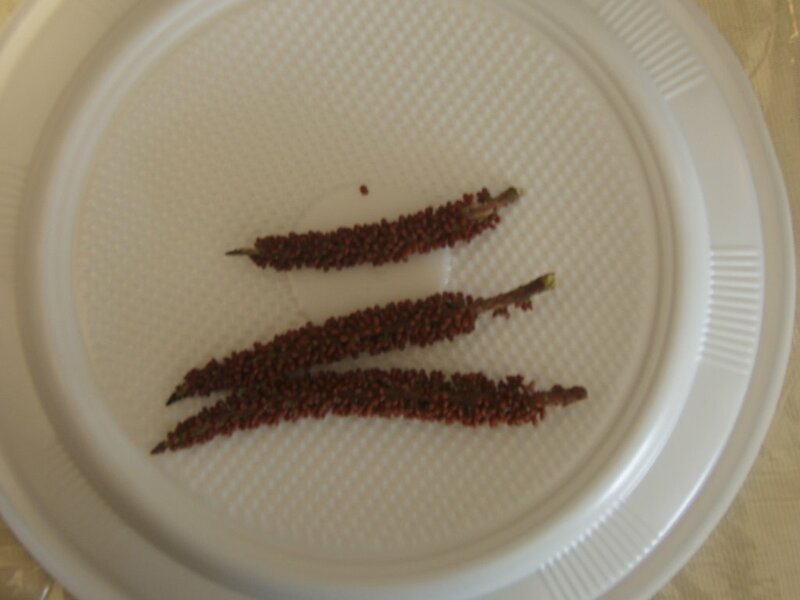 Shoshana at Sweet Rose is hosting Haveil Havalim #91 and just posted it.. Check it out here and make sure you are comfortable.. she included plenty of good posts..
Way to go Bears! 41-10. I was kind of hoping (and even expecting) them to beat the 49ers by 49 points today, but it was not meant to be. Only by 31.
and I quote.. "but this house is being buried before my eyes because of unreliability, because of deals, because of zigzags, because of lack of leadership." hmmm, maybe a former resident of Gush Katif? 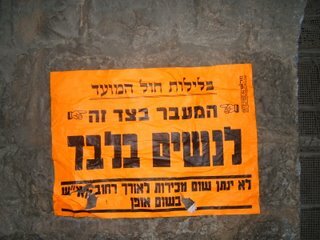 Maybe a former resident of one of the 4 Northern Samarian settlements that were razed this past year? If that is what you guessed, it was a good guess but completely wrong. Opher Pines-Paz said it tonight in the stormy Labor Central Committee meeting deciding whether to stay in the coalition with Lieberman's party or to drop out of the coalition. Pines-Pas was in favor of leaving the government coalition. I agree with Pines-Paz and feel that from a Labor party standpoint the right move would have been to leave the government. The problem is the people running the show nowadays (not just in labor but in a lot of parties) are worried about personal interests rather than long term goals. They are afraid of facing their electorate now and think they will be better off by delaying such an event for a while. So they voted to stay in the coalition. Ironic that he could use such a statement as a condemnation of the days events and an argument for specific policy, when he ignored such arguments last year and has been looking to push an agenda exactly of deals, zigzags, lack of leadership, and burying peoples houses in front of their own eyes. This shabbos morning something unusual happened. The gabbai asked me tolead the shacharis services. It is unusual because generally I respond in the negative to such requests, so they do not even bother asking anymore. Why do I say no? Because I have a bad voice. I can sing along decently, but singing on my own or leading a song is another story. I might add that I happily lead services that require almost no singing and are simply a matter of efficiency, such as weekday services, Pesukei D'Zimra on shabbos, Mincha on Shabbos, and the like. I am not shy in this regard, simply do not feel it appropriate that someone with my voice should lead the Shacharis services. I have said no in the past enough times that the gabbai rarely asks me. When he does, he must be pretty hard up for a candidate, or it must be a slow week with a small crowd (like this week becaus eof the rain). My shul has a number of people with beautiful voices and a number of people who can carry a tune very nicely, so they usually have enough people in the pool to choose from for leading services. But sometimes they pick people with voices like mine and usually they daven for the amud and we all have to sit there "enjoying" their voices. The one good thing about these situations is that generally the davening will move along faster. This week it was my turn. He asked me. I hesitated a moment and said "Yes." I figure if I have to suffer through other people's voices, they can suffer through mine every now and then. I must say that after I said yes, I immediately regretted it. As the gabbai walked away, i thought to myself, "What am I goign to do now? What tunes will I sing?". I will be honest and admit I do not think I said very much of pesukei d'zimra, as I spent most of the time trying to figure out what tunes I would use. I picked the most basic tunes (those were the only ones I could think of) - you know, the ones you learn at your bar-mitzva and never forget. The ones you never hear nowadays, because they are so old nobody sings them, except the guys like me who only daven once in a blue moon. Yeah those. I spent the whole (practically) pesukei d'zimra going over them in my head and then I went up to the amud. It came out ok. The songs I sang were fine (when everyone else joins in they cover my voice up), the problem was more with the solos, like the beginning of the repetition of Shmone Esrai (mixing up different tunes), and voice hitting wrong notes, etc.. Overall, not too bad I think (I don't know what other people thought). My kids did not get to hear it though because they only showed up during the Torah reading. Foto Friday - Fire 'em up! I fired up the grill today to make bbq chicken for Shabbos. Looks and smells great and I can't wait for shabbos to get here so we can eat!! Have a great Shabbos everybody! I love answering polls on the telephone. All sorts of polls. Come dinnertime and the phone will ring and it is someone saying "Can I just ask you a few questions? It will take just two minutes." For some reason I cannot resist. Usually the poll is about something mundane like what cereal I prefer or what kind of charities I donate to with boring questionairres. 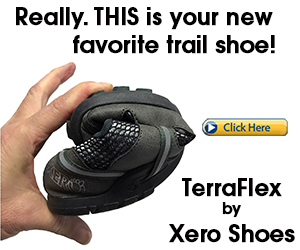 I feel as though I am having some sort of influence on the marketplace; of products and of ideas. NOTE: I do not get these pollsters often. Just a few times a year. Tonight I answered the phone and it is a polster. She wants to ask me a few questions. No problem, go ahead. Anyway, thinking back afterwards about the questions and my answers, I find it ironic that George Bush is lumped into categories with people like Ahmadinejad, Bin Laden and Kim (the North Korean guy). And by the way, based on the way the questions were worded and the choices I had for answers, George Bush turns out to be just as dangerous to world security as the North Korean guy. One more thing - they always want to know about you at the end of the questions. They need to know the demographics I guess. they ask how old I am and am I male or female, where I live, etc.. On equestion always irks me. They always ask, "What kind of Jew are you? Hiloni? Traditional? 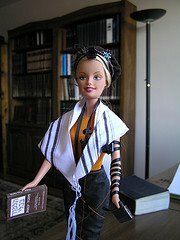 Haredi? Dati Leumi?" I always answer, "Just a simple Jew". They usually get confused and refuse to accept that. They insist on putting me into a category. I always insist and say, "Just a Jew". For those of you who do not understand the hebrew it is a play on words. It says, "Hebrew is a nice language. What do you call the guy who washes the dishes in the Misada? Said (an Arab name)"
I do not really know if this qualifies, because I do not know what would happen if you tried to do this in the USA, Europe or other places around the world outside Israel, but I will mention it anyway. Today someone went to a silversmith. The request was a custom made candelabrum. They make 6 branch candelabrum's and they make 8 branch. This person wanted a 7 branch candelabrum. It would have to be custom made. This person asked how much it would cost to order a 7 branch candelabrum. The answer was we will not make them. Why not? Because there is a Rabbinic prohibition against making 7 branched candelabrums because that is what they used in the Bet Hamikdash. It does not matter that the branches on this style are uneven and in a circular design rather than even and straight. You cannot make a 7 branch candelabrum, end of story. Order a 6 branch or an 8 branch, no 7. Absolutely amazing!! We are witnessing amazing things in Israel right now! Avigdor "Yvette" Lieberman has given up on all his demands - yes every single one of the 5 issues he had demanded as preconditions - to join the coalition of a government that until 2 weeks ago he was calling for its resignation . Not only that but he only requested one ministerial position (for himself) (when he heads a large enough party that based on current guidelines deserved 3-4) and was willing to take an office that was made up just for him (Minister of Strategic Affairs) and is unclear what that includes and entails. In addition to that, Amir Peretz who has had nothing reasonable until now to say about Lieberman and has vehemently opposed allowing him in to the coalition has agreed to support his entry. In return, Olmert promised him more money and offices. He will possibly get the Ministry of Social Affairs (still dependant on UTJ), along with a new Ministry of Arab Affairs and another head of a committee in Knesset. Look what people will do for a taste of power. Amazing. Look how easy it is for Olmert to throw around our money to get what he wants. If you thought the government was bloated with ministries until now, we just got a few more.. That is millions of shekels more every year out of the taxpayer pocket... Amazing. In daf yomi we learned an interesting gemara last night. I would like to share it with you. On page 52a of Tractate Sukka the gemara is discussing the idea that in the future there will be a day on which the Evil Inclination will be eulogized after having been slaughtered by God. The gemara questions this asking why would we eulogize the loss of the Evil Inclination - we should rejoice when that happens? The gemara answers with a tradition that in the future Hashem would slaughter the Yetzer Ha'Ra before the righteous and before the wicked people. The righteous people will see how the Yetzer Ha'Ra was so strong and powerful like a tall mountain they had to conquer and will therefore cry over how much they toiled, suffered and succeeded. The wicked people will see the Yetzer Ha'Ra as a simple small thread. They will cry because they will realize had they only tried a tiny bit harder they could have overcome their desires. I am reading a book now called, "The 33 Strategies of War" by Robert Greene. In chapter 10 he discusses the strategy of creating an image and reputation for yourself. More important than what you actually have on your side is what your opponent thinks you have on your side. He brings examples from the American Civil War how a unit of 3600 men was able to standoff in battles against 90,000 men and change the direction of the war. All because the general Stonewall Jackson was able to create an image and perception of having many more men than he actually had. The author brings a number of other examples showing the same idea. If you can create an image of yourself, you caan effect people's perception of you. Even if it is not true, you can make people think it might be. That is the strategy employed by the Yetzer Ha'Ra. To the righteous people he creates an image of small bump in the road. He knows they will be willing to fight hard to overcome their inclination and therefore he makes it look easy hoping they will try to face the [easy] challenge and find it more difficult than expected. When he deals with the wicked, he knows that they will not try hard to overcome the challenge, but will give in to their temptations quickly. To them he appears as a large mountain. When they see the challenge is great, they will not even try but will give in to their desires quickly. The Yetzer Ha'Ra tricks us by creating an image of himself that he feels will cause us to fail. He tries to get us to believe that image and perceive him in a specific way. The righteous will cry because they will see what they really overcame. They will see how difficult it really was. The wicked will cry because they thought it would be difficult but will see they really had a wrong impression and it would have been easy had they only tried with a bit fo effort. Avigdor Lieberman is bringing his party Yisrael Beiteinu (Israel Our Home) into the coalition of the government. That is the news of the day. They signed the agreements last night and it now has to go up for a vote in the government. It is likely to pass the vote and we will see Labor sitting in the same government with Yisrael Beiteinu. This is an amazing turn of events. A few months ago Labor refused to join the government coalition if Olmert would invite Lieberman's party. The two parties are diametrically opposed in their outlooks and beliefs and (they say) share no common ground. There is no way they could sit together. Well, it looks like they will now find a way. It is not final yet, as Labor is still deliberating its reponse. Will they pull out? Some ministers from Labor support pulling out and some support staying in. Olmert obviously believes Labor will stay in, as he is bringing Lieberman in despite Labor's wishes. I too think Labor will decide to stay in, though I think it will be a big mistake if they do so. By staying in the government they will have lost their balance of power. Right now every party holds the balance of power because each party can threaten to topple the government (except the Pensioners Party - they are not big enough to wield that power). Once Lieberman joins, the government will have been expanded beyond the ability of any one party to hold that influence. In general that sounds great from the perspective of the Prime Minister. However, from the perspective of Labor (and Shas) it is catastrophic. It means they will not have the power to insist on certain positions they want implemented. They will have lost all their power. The voter base of these parties is already upset at them. Labor voters are upset with the way Amir Peretz has been running the party. They are upset with the way he ran the war. They are upset with the way they have abandoned social issues. If they now choose to sit with Lieberman, thereby abandoning their position in not sitting with [what they call] a far right party, their voters will not forgive them. Right now, if elections were to be held today, Labor would be taking a big hit, which is what the supporters of sitting with Lieberman are afraid of. If they sit with Lieberman, they will take an even bigger hit. The Presidential elections. No, not the ones Avigdor Lieberman is trying to change the political system to. I am referring to the elections for the new President of Israel that will seemingly be taking place in the near future. President Moshe Katsav is on the brink of suspending himself and possibly resigning his position. It looks like he will be served with an indictment in the near future and will have to resign. If he does not, he likely will be forcibly removed by a special session of the Knesset. Thsi will bring us to new presidential elections in the very near future. I am in favor of changing the system. I would like to see presidential elections in which the public elects the prez, rather than the Knesset electing him. I would like to see politicians disqualified from the position (as long as the whole political system is not changed and stays in its current format with the prez being an apolitical position). There have been calls recently, because elections are clearly coming, to change the format of the elections to an open ballot election. That means that when the voting takes place, everybosy has the ability to see who voted for whom. When Moshe Katsav defeated Shimon Peres for the presidency in the last elections 7 years ago, they used a closed ballot system. Shimon Peres had assumed he would win because of promises people made to him to vote in his favor but was then surprised with defeat when the secret ballots were counted. People actually voted for the candidate they preferred rather the one they were pressured into supporting. Now the supporters of changing to open ballot are saying, "Look what the closed ballot system got us". I am sorry, but the closed ballot system had nothing to do with whether or not Moshe Katsav raped his employees. The closed ballot system allows people to vote according to who and what they really want to see sitting in the chair of the President, rather than according to all sorts of pressures exerted on him. Those pressures could be party affiliation, they could be personal (e.g. a candidate pulling favors), they could be emotional (e.g. someone feels bad saying no to Shimon Peres). In a closed ballto system, people could say what they want before the election and then vote for whomever they really prefer. That si the way ti should be. Voting should not be influenced. The pre-election campaigning is enough opportunity to influence the voter. No need to actually watch the vote and then make people not vote for their preferred candidate. 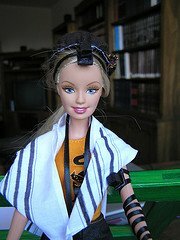 Can "Prayer Barbie" be counted in a minyan? We are now officially in flu-shot season. Here in israel the flu-shot is given out based on dcotor recommendation. Your doctor has to decide you fall into some sort of high risk group and that qualifies you for a flu-shot. If you do not fall into such a category and want the flu-shot anyway, you have to cough up the money on your own to get the shot privately. The high risk category generally includes the elderly, babies, people with asthma and other ailments and illnesses that contracting the flu might be detrimental for them. I do not fall into any of the categories but usually get myself a shot privately. 3 of my kids fall into categories and would be going this week to get their little arms pricked. That was until just now. The Health Ministry has just issued an announcement that they are stopping (temporarily I guess) all distribution of flu shots in Israel and not allowing medical centers to innoculate people with the vaccination. The reason for the announcement is the death of 3 people who took the shot. 3 people who fell into a high risk category, 2 were elderly (in their 70s) and one was 52 (I do not know why he got it), died three days after being innoculated with the vaccine. All three had received the innoculation in the same medical clinic in Kiryat Gat. I would presume that because all three deaths came from the same clinic, it is unlikely the general pool of vaccinations around the country is tainted. I would presume their was a specific problem with the local clinic. However, even one death is unusual - let alone three - and therefore it must be investigated. Until further notice - no flu-shots in Israel. If you were planning on getting a flu-shot (in Israel or elsewhere) you should probably speak to your doctor about the situation. Foto Friday - name the "flower"
We went on a short tiyul in the area this afternoon. It was a KKL nature reserve in the area of Bet Shemesh called Beit Habad (House of the Press) based on the Olive Press found there. There was this great big tree we saw with "flowers" growing on it. We have no idea what they were but if any of you botanists or horticulturists recognize them from the pic, leave a comment with the name of the tree and/or flower. I left my office today to go to our nearby factory. As I leave the building, I see right across the street a crowd of people with 4 police cars. A lot of activity. I hesitate, not knowing if their was a car accident there, if someone got hurt, a chefetz chashud (suspicious object that night be a bomb) or any one of many other possibilities. I look around for a minute and decide to keep going. I walk through the crowd. Everyone is talking to each other. It was a crowd of about 20 people standing on a corner outside of the entrance to 3 different (open air)parking lots mingling with policemen. Then I see sitting on the side a woman who looks distraught. She has somebody holding a newspaper over her head to shield her from the light drizzle that had just begun and she was talkign to a policewoman. As I passed by I looked and did not see her injured, as I still thought maybe a car had hit someone (and I missed the ambulances), and still had no idea what was going on. I kept going and got to my location. Someone there who came in after me told me that there had been a robbery. The woman I had seen had been attacked and robbed of the merchandise (diamonds) she had been carrying. There is all sorts of talk of an inside job. Why did the attacker pick her out of the crowd of people? It happened at a time when a lot of people show up for work and there were other people around. Was she randomly selected or did someone tell someone she was leaving the building with merchandise? Was she part of it? The goods were insured, so was an insurance scam involved? Nobody knew details, but lots of rumors are going around. As I passed by the location again on my way back to the office, things had quieted down and the area had cleared. There was only one policeman left talking to a parking lot attendant about which was the attacker might have gone. But as I am walking by, I start thinking. What would I have done had I been there 10 minutes earlier? If I walked out just in time to witness the event, what would I have done. The images roll through my mind like a Bruce Willis action film and I picture myself seeing the event unfold, realize what is happening and be aware enough to jump the guy and pound him until he is bloody and can't walk and hand him off to the police. Ahhhh... our dreams are so much more pleasant. Do all guys imagine the Bruce Willis action movie reaction? We were eating dinner tonight and my kids heard helicopters flying overhead. It is not uncommon to hear helicopters and airplanes flying over our house, as RBS is not far from an air force base. Being that we live on the edge of RBS we see the flights possibly more than many other people in the neighborhood. Tonight there was a lot of helicopter activity over us, and more so over the mountains across from our house. So during dinner my kids hear a few helicopters and run out to the porch to see. It was already dark but they could see the lights of 3 helicopters flying overhead and then mostly over the mountains across. All of the sudden there was a flash of light on the horizon beyond the mountain across from us. After a few minutes there was another flash of light in the same place. The helicopters disappeared. A few minutes later the helicopters were back in view in the area of the mountains and suddenly another flash. This happened a few more times. The sky was not clear, so it was hard to tell what the flash was. Because of the helicopter activity we suspected we were watching either a training mission shooting some sort of bright flair or a dummy bomb/missile. Another option was that we were watching the air force blow up Gaza, as that was the general direction (though it seemed a little too far north to be plausible). The kids were very excited about seeing that. Then there was another flash. Again in the same spot. But this time the sky was clearer and I got a better look at it. It was clearly the telltale zigzag of a lightning bolt. The helicopters were just a coincidence. Oh well, but it was still pretty cool. Way to go! I actually woke up in the middle of the night and checked the score and "watched" some play by play. I watched the score go to 17-o (Bears down) and figured it is not worth staying up for that kind of a beating. It looked like their time to lose had arrived. Jameel escaped from the Muqata tonight. He came into Israel clandestinely. Not only did he come into Israel but he also met up with some bloggers, including myself. It was a great honor meeting the honorable representative of the Muqata, even if just for a few minutes. And I must say he looked nothing as I had pictured he would..
always good for a laugh!! On Shemini Atzeret we begin mentioning the prayer for rain. It is not really a prayer for rain though. That will come in a couple of weeks. 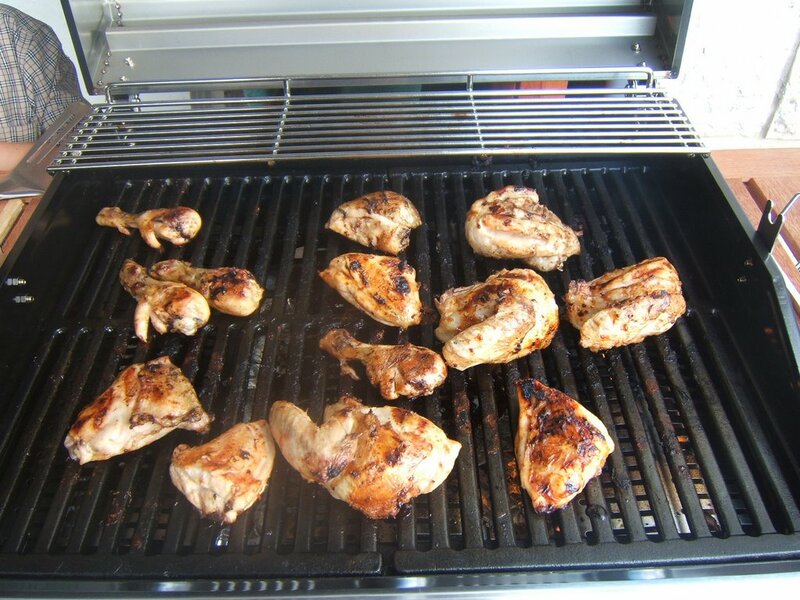 What we did on Shemini Atzeret is more like a warm-up. A pre-game workout of sorts. Buttering God up. We are mentioning that He has the ability to provide rain, though we will only ask for it later when He is flattered enough to acquiesce. Well, it looks like He was flattered pretty quickly this time around. On Sunday, the day after Shemini Atzeret, it already rained significantly here in Israel (not like the light drizzle we experienced during Hol Hamoed) and is continuing today. People here get all nervous when they feel the drops. It could be just a few drops, but people will start running as if it is a torrentious downpour. Traffic comes to a standstill. Drivers get nervous when drops hit their windshields. Roads get slick from the accumulation of greases and oils mixing with the rains, so drivers drive much slower (i.e. they drive at the speed they should be driving at all year round), even if it is a light rain that poses no danger. 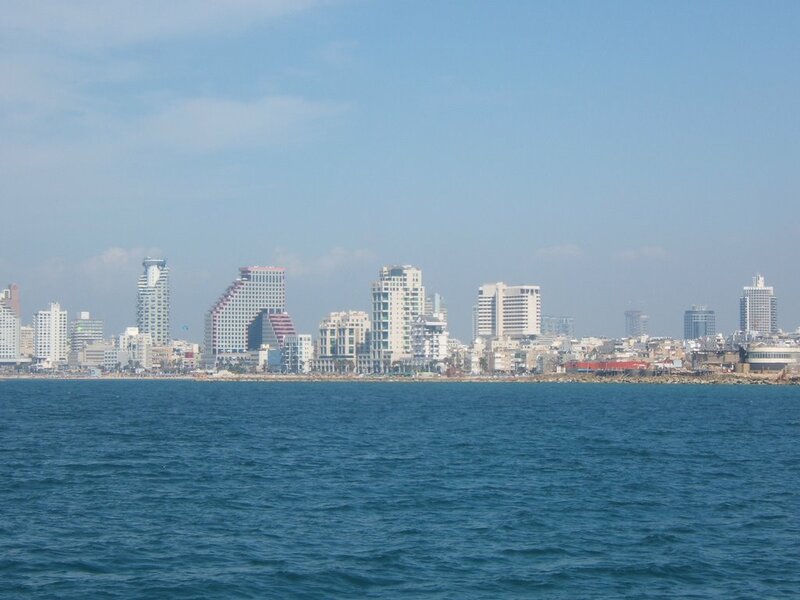 I remember a few years ago, before there was a train from Bet Shemesh to Tel Aviv, the first rain of the season and I was on a bus to Tel Aviv. 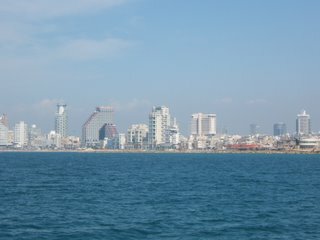 It was a heavy rain and that often brings with it flooding in the poorer neighborhoods of Tel Aviv and other areas. Traffic was bad because of the rain, but worse because of areas being closed off and evacuated due to flooding. It took 5 hours to get to work that day. Half the office was stuck in ridiculous traffic and only came in in time for lunch. 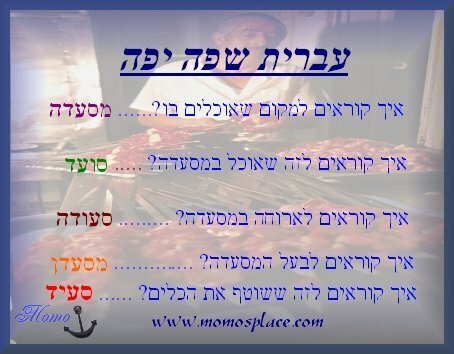 Today people are looking out the window watching the rain, talking about the rain, blogging about the rain, concerned they did not yet take down their sukka (I took mine down ten minutes after havdala after the holiday), what will they do about the rain when they go for lunch, etc.. I always like to say, "A little rain never killed anyone" (though I guess you cannot say that to anyone who lives in New Orleans). Batya over at Shiloh Musings (and me-ander) has hosted the Haveil Havalim Sukkos edition #89. Head on over and read lots of great posts. I do not know how she had time for this one, but a great job she did!! As I was walking with my children this morning, we felt the first drops of rain for the new rainy season splashing on our brows. It is not raining hard right now, just drops. In Chicago this would be called a "light drizzle". The first rains of the year always get everybody excited. Israel is a land that desperately needs every drop of rain and the whole summer is gauranteed to be dry, so the first rains are always good to crack a smile on people's faces and to get the kids all excited. My son was excited about the rain and then I reminded him of two things he learned recently. The first is that at the end of Sukkot we begin to mention the need for rain in our prayers and only two weeks after sukkot concludes do we actually ask Hashem to bless us with rain. This is because Yerushalayim during the holiday is filled with Olei Regel, people who came to visit israel (specifically the Beit Hamikdash) and asking for rain would be a hardship on these tourists. Two weeks after the holiday is enough time for the olei regel to get home, and only then do we ask Hashem for rain. Rain before that time has a certain aspect of klala. The second idea I reminded him of was a mishna that says "Rain on sukkos is as if a servant brought a pitcher of water before his master, yet his master takes the water and splashes it back in his servants face". 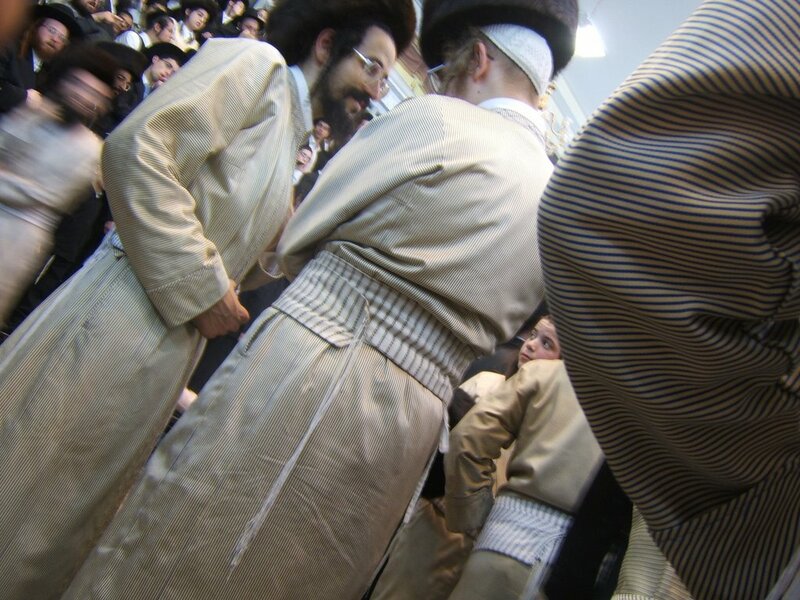 We are trying to do the mitzva of sitting in a sukka but Hashem sends rain and says I don't want you in my sukka, in my presence - get back into your house. Hopefully the rains will stop and only come in their appointed blessed times. 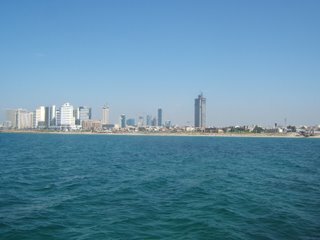 This is the view of the Tel Aviv coastline from a boat off the Jaffa Port. 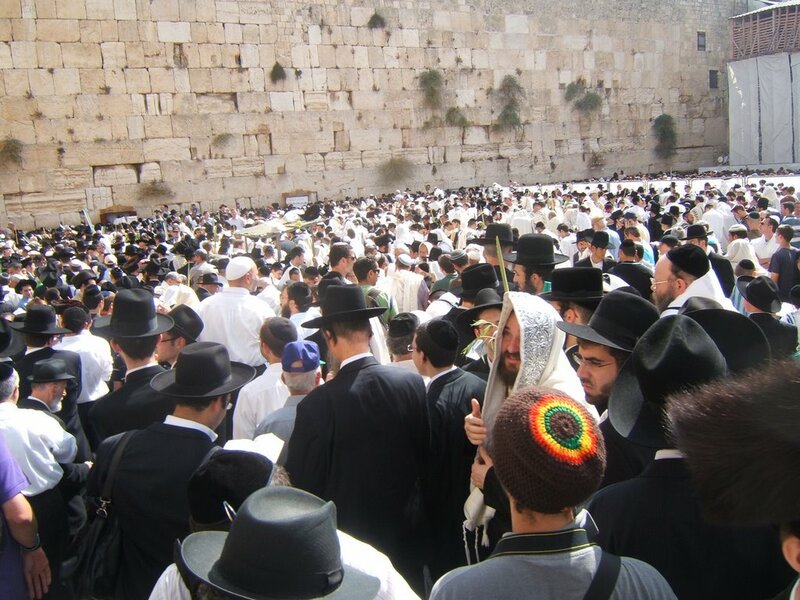 That is the official estimate by the police of how many people attended the Birkat Kohanim ceremony at the Kotel yesterday. 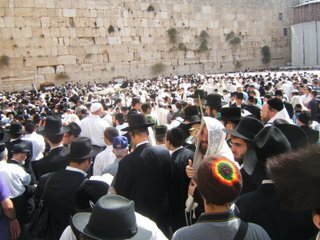 80,000 Jews in one place at one time. That is a lot of people. 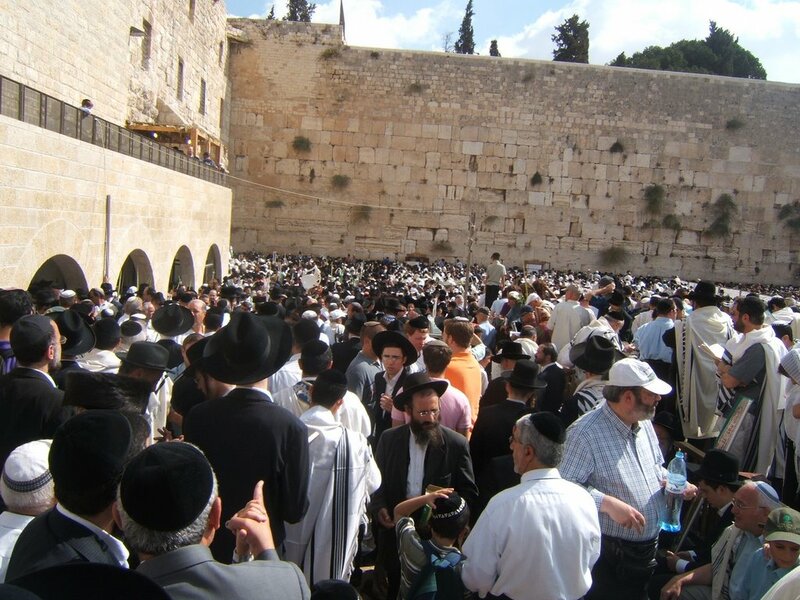 It is so many people in fact, that they say this was the largest and greatest attended Birkat Kohanim event since the Kotel was recaptured in 1967 by Israel. The police say that it was so crowded that they had to close the gates of entry to the Kotel at one point because it was too full and would be dangerous to let more people in. Overflow crowd had to stand outside of the walls and gates of the Kotel area. And I was part of it. One person out of 80,000. And I even got to shake a funky Yemenite Etrog while I was there. In the picture it is not me shaking (I was clicking the shot), but that is the Esrog I borrowed a few minutes later to shake.. There were people of all stripes, colors, and persuasions there. It was a fabulous event with an amazing collage of people, and I even got to bump into a few old friends I had not seen in a long time and catch up with them a bit..
We spent the night in Yerushalayim last night. I took the opportunity and went with one of my sons to do something I have not done in maybe13 or 14 years. We went into Mea Shearim and went to the Simchas Beis Hashoevas that are legendary in the religious world. We went into Karlin Stolin first. The place was jam packed with, what seemed like, thousands of people. The circles could not even stay straight because the mosh of people was too great. they had to make circles that were weaving through and around each other, thereby utilizing every inch of floor space for dancing. The place was packed with all sorts of people. 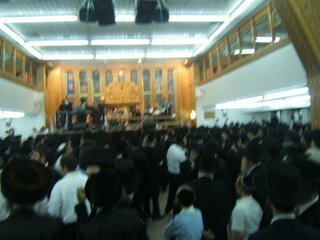 Chassidim of the Karlin Stolin court, along with chassidim from all lsorts of other courts, along with litvishe and dati leumi and American yeshiva guys and some people who looked not religious at all. Everybody was dancing together and having a great time. My son got nervous when I tried to take pictures. Some of these places famously do not allow pictures to be taken and have even been known to confiscate a camera when their wishes are violated. I snapped a few, to his nervous dismay and then somebody came over and warned me not to take pictures. I stopped and shortly after that we moved on to the next event. We continued down Mea Shearim street heading to the legendary court of Toldos Aharon. I have seen their Simchas Beis Hashoeva described as being a" basic, authentic, simchas beis hashoeva". As we join the throngs of people heading in that direction, the road splits. There are guards telling men and women to separate, with women walking on the right side of the street and men on the left. There were also signs posted all over the area informing (warning) people to split like that. Most people followed the wishes of the organizers and were split, but it was not 100% and nobody bothered those who did not follow orders. We made our way to the Toldos Aharon Beis Midrash and went in. The zebras were all over the place. They are affectionately known as zebras because of the striped cloaks they wear. It was a great sight, as normally one sees them a few here and there. Going onto their home court where you would see hundreds of them together dancing in circles was something special. They are much stricter about taking pictures and have signs up all over warning people not to photograph. If they catch you there, you can forget about a warning. Just say goodbye to your camera. We go in and join the circles. Eventually we see the Toldos Aharon Rebbe is sitting on the side and people line up by him to shake his hand and wish and be wished by him a good yom tov. Wanting the full experience, we decided to get in line. This was something unusual for me. When I was in yeshiva and went to these parties, the Rebbe was the father of the current rebbe. He had been very old (in his mid-90s at the time) and was very sick and weak. He would be seated in the middle of the circles and stay there the whole time nodding his head to the music and motion. You could not approach him and if you tried you clearly did not value your life. So we joined the line and the pushing was amazing. Everybody was pushing and shoving to get into line. They were at least very smart how they designed it so the pushing was only at the end of the line. Once the line crossed a certain point, they had sectioned it off so it could only be single file. My son could not deal with the pushing so I went alone and shook the Rebbes hand. Shortly after that I saw the line had dwindled down. I got my son and went back in line and with no pushing we went and shook his hand again. After dancing with the zebras a little more, we went to their cousins. Toldos Avraham Yitzchak. When the Rebbe (I think his name was Reb Aharele) died a number of years ago, his two sons split the chassidus and each tool leadership of a court. 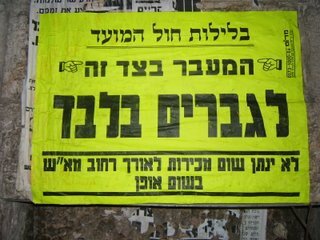 one took over Toldos Aharon and the other started Toldos Avraham Yitzchak. I think this must have been the older brother because the rebbe there looked much older than the rebbe at Toldos Aharon. 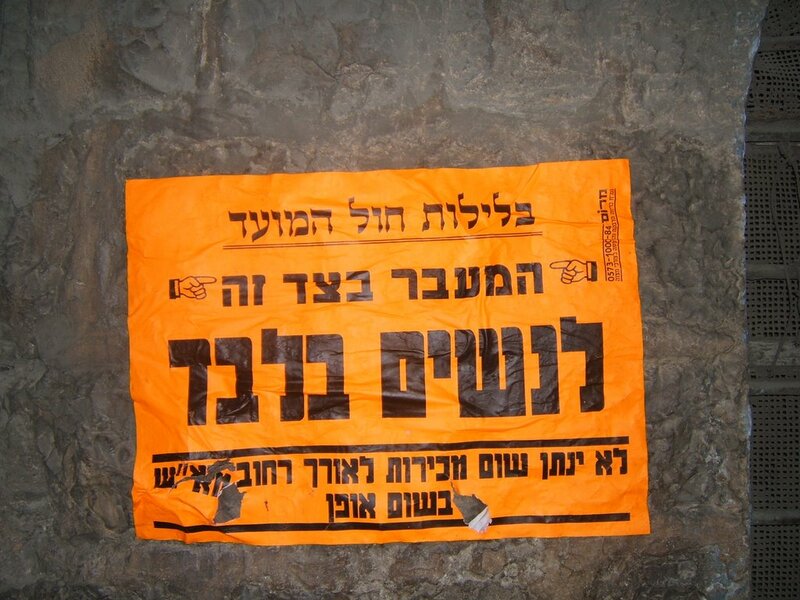 Toldos Avraham Yitzchak is about a block away from Toldos Aharon and is located at the beginning of the Mea Shearim shuk. We went in. To an outsider it was hard to tell the difference between the two groups as this place was also full of zebras, but there must be some differences, maybe in something in their dress, to differentiate between the two groups. We were there during a break in the dancing and some kids and adults were singing in what I guess would be called a choir, while people were standing around listening. I saw the admor on the side shaking hands and we joined the line. This line was not quite as organized as the line in Toldos Aharon and it was a matter of who could push their way to the front of the line. We joined the pushing and were almost the front when the gabbai decided enough was enough (it looked as though the whole crowd might topple oon top of the Rebbe) and shoved the whole line back five feet. Obviously people lost their places they had fought so valiantly for, so the pushing started again immediately after that. My son gave up but I persevered and after a few minutes I made my way to the front of the line and shook his hand. We then left and went back to "the real world". It takes time to get full accreditation from the Ministry of Education, and I am not familiar with the process nro with the various stages and levels of accreditation, so in the aspect of the issue my post will be incomplete. A new school opened up last year. The school is trying to cater to a public that mostly considers itself being some level of Haredi. They are mostly families of Western Immigrants who want a strong Torah education in the Haredi style but also want a strong secular education. The two generally do not go together. There are a number of schools around that have been trying this niche and all have had success and this new school is trying to join the crowd. In its second year, I am told it has been successful and parents are happy. The school has been applying for accreditation and full recognition. The response they were given was that if the parents in the school (x number of them) sign up as members of (the ruling) Kadima party, they will be awarded a full license to operate as a school. I am sure this happens all the time and whatever party in power uses their influence in similar fashion. However, right now Kadima is in power and right now I am blogging and this blatant abuse of power upsets me. A school should be licensed and accredited based on its merits. If it fits the requirements (I would venture to say most of those requirements would be academic based) it should be given accredation, and if it fails to meet the requirements, accredation should be denied. In no way should any such decision be based on political affiliation. When Kadima was started and was clearly going to win the largest amount of votes, reps of Kadima met with various mayors from around Israel. They basically threatened the mayors by saying that any moyor who switches affiliation and joins Kadima, his/her city will be given priority and funding from the Interior Ministry. 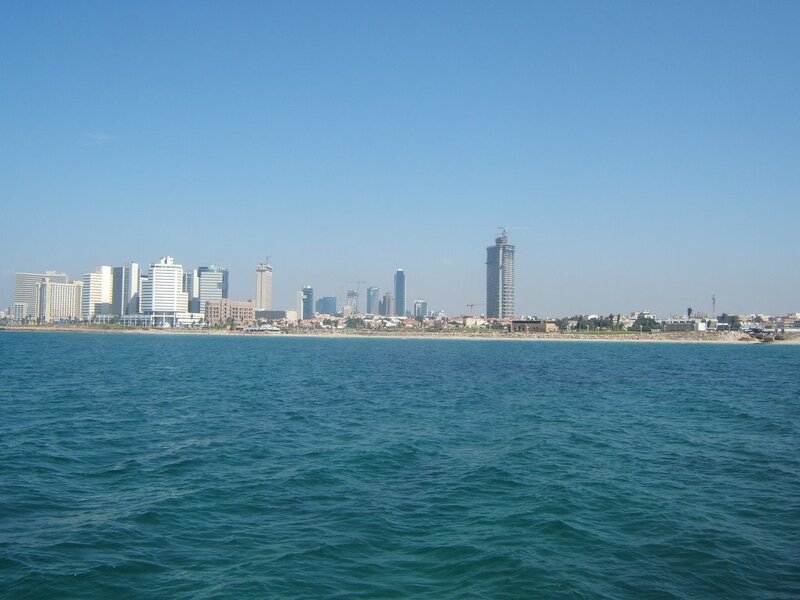 Any mayor who does not switch to Kadima can expect to not advance too many projects in his city. Many mayors made the switch to Kadima. Recently there have been talks and rumors of some of those mayors discussing the option of switching back due to their dissatisfaction with Kadima. These mayors are clearly opportunists and they see the way the wind is blowing. Polls currently show (whether or not you believe in polls makes no difference as they are a very large part of the Israeli media and political scene) that Olmert only has support of about 7% of the general public and if elections were held today Kadima might not even pass the electoral threshold. The mayors know all this and that is why they are talking about leaving Kadima. But the only reason they joined Kadima is because of the threats they received prior to the last elections. There is clearly an abuse of power going on. When it involves which party a mayor is affiliated with it is bad enough. Just because a mayor is not part of Kadima does not mean his city should not be able to promote business or build schools or start other projects. It is worse (in my eyes) when the ruling party attempts to force individuals to sign up as party members under the threat of school accredation. Do we live in Communist Russia? Do we live in North Korea or Iran? A school should be licensed based on its merits, not based on party affiliation. Somebody showed me his lulav last night. He had bought a mehadrin set and paid the price of a mehudar set. The lulav he showed was very nice. Nicely green, straight as an arrow, tight (some like it tight because it does not break as easily), and it looked like a clean tip. Upon closer inspection the tip was slightly split. It was difficult to see and it had only been caught by the Rabbi he showed it to. 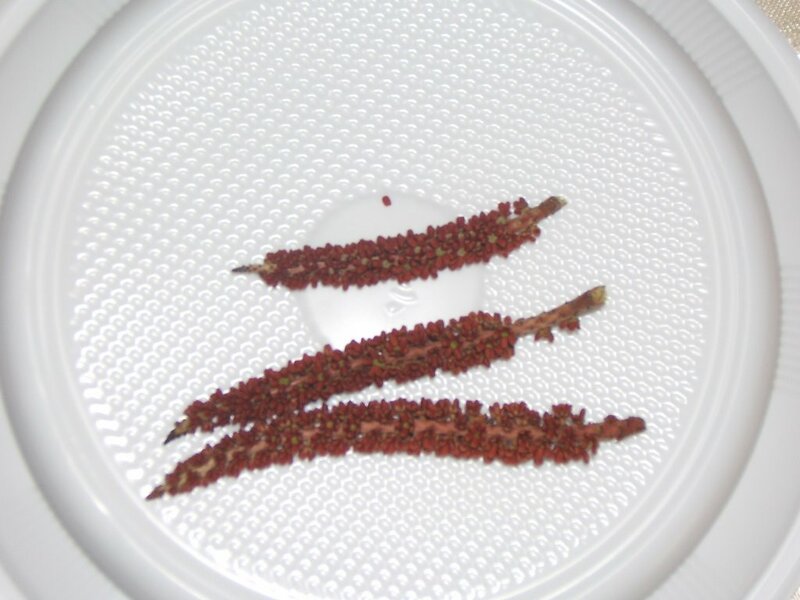 While the lulav remains kosher, it is not considered mehudar. This is the problem with the system of selling lulavs and esrogs. The guy selling the merchandise categorizes it as he wishes (note: pre-boxed items are categorized by the wholesaler) rather than by the actual quality of the item. The guy selling it might not (and is usually not) be an expert at evaluating whether the lulav/esrog is mehudar or not. Yet he sells the lulav as a mehudar lulav. 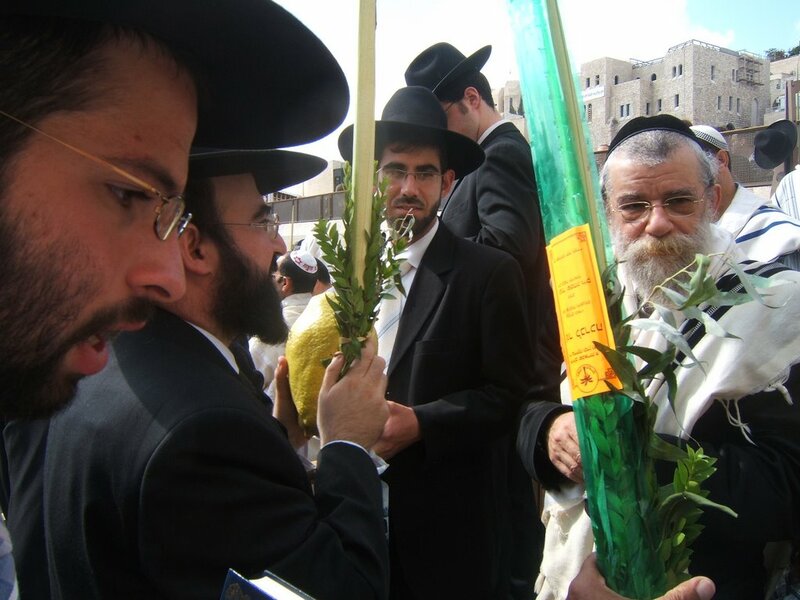 Now that the Rabbi has said the lulav is not mehudar you would think the buyer should be either given the difference (between mehudar and non-mehudar) in price back, or allowed to exchange it for one that is actually mehudar. The way the system works is that the guarantee is only that the item is kosher, not mehudar. The lulav has to be declared passul (completely unfit for use) for the buyer to get his money back. Yet he still paid the mehudar price for a non-mehudar product. AbbaGav kicks off his new blog site with a great roundup for Haveil Havalim #88.. check it out!!! We went to a bar mitzva last night for the son of a neighbor. The family celebrating are very nice, eidel people of French origin. Depite the fact that they are French I do not think they are anti-semites.. They are sephardim and are very warm and friendly people. I have a problem. I like to go places on time (or close to it). Especially a party at night, I prefer to go on time, stay a bit and then leave so I can get back to normal life with enough evening time to do whatever it might be that is waiting for me. I sometimes (often) make my wife nervous and crazy when I am urging her to speed it up so we can leave for a simcha and be there fairly on time. Though I will add that over the years I have gotten better and am not quite as neurotic as I used to be. The party was called for 7:30 pm. We agreed on planning to get there a little before 8 pm. We would stay about 15-20 minutes and leave so I could get back for daf yomi. We get to the party at about 8:00 and find nobody there. Well, not nobody. Most of the immediate family was there, though not all of them, allong with the photographer and the music guy (I am not sure whether to call him a musician, singer, DJ, or just some guy with a cd player and microphone). So, we are resigned to a longer evening then expected. We hang around for a while and eventually a few people show up. The party gets going and begins with the evening services, tefillat Arvit. As I had already davened, I was sitting on the side by a table waiting and watching. The photographer was sitting there as well, as he too had already davened. The appetizers (plates of various salads) were being put out on the tables. The photographer, yes I was sitting there opposite him watching this, was sitting there eating straight out of the serving dishes with the serving fork. He took a big scoop of cole slaw and ate it. Then with the same fork he reached over to the carrot salad and took a scoop and ate it. Then he put the fork back into the cole slaw plate. Needless to say I shortly thereafter moved to a different table. Now, the guy seemed clean and looked put together. And I am not a stickler regarding germs and the "cooties" reaction people make when people (usually family members) share a bottle of water on a tiyul or share the occassional fork or something. But still it was pretty gross. I guess it was just a cultural thing. The best part of the deal was the father brought out a bottle of Rare J&B, from which I enjoyed a nice glassful. "10:45-Music festival postponed due to Lebanon war to be held in Kfar Blum"
Ha'aretz today used this headline in their news section. The headline seems to indicate that the music festival was cancelled due to a scheduled Lebanon War to be held in Kfar Blum. 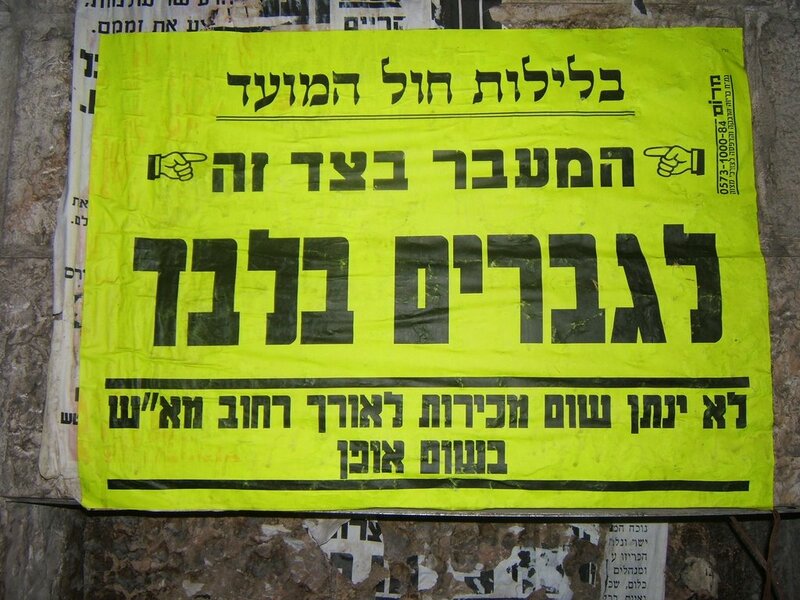 Do the residents of Kfar Blum know they are about to have a Lebanon War in their village? There are conflicting customs during these days. 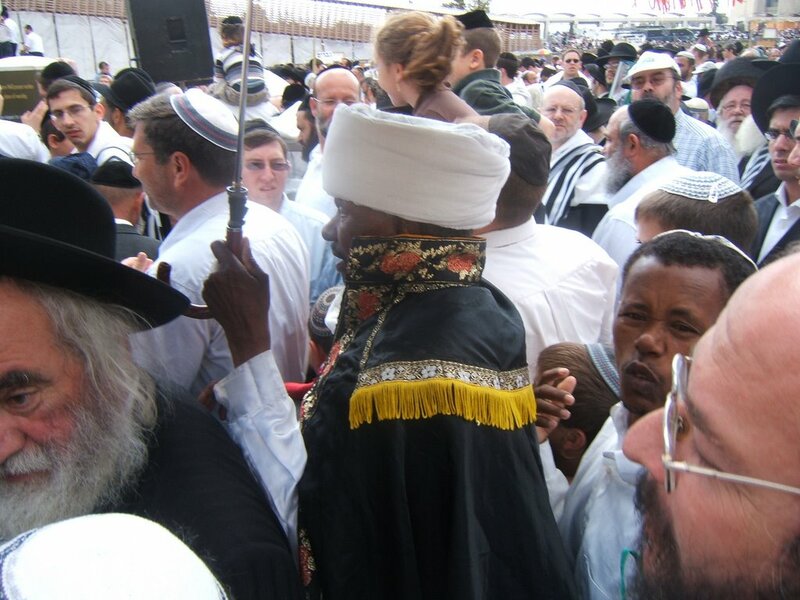 Some have the custom of bui;ding one's sukkah and purchasing the 4 species during the Ten Days of Repentance. This custom is based on the idea that by showing our love for the mitvot and rushing to buy the species and build the sukka at the earliest opportunity, we will add to our merits prior to Yom Hakkipurim, which will provide more chance of a successful din on Yom Kippur. Some have the custom to specifically wait until after Yom Kippur to build the sukka and purchase the 4 species. This custom is based on the idea that one wishes to begin the new slate with a mitzva. If right after Yom Kippur we are rushing to do mitzvot, that will have a strong influence on the actions we will choose during the coming year. I am in the latter group. While I hear alot of banging of people putting together their sukkot and see people buying their lulav and etrog, I am refraining from doing so. Even though this past Friday and today would have bene very opportune times to build my sukka, as the rest of the week after Yom Kippur I will be at work all day and will only be able to take care of sukkot preparations at night. 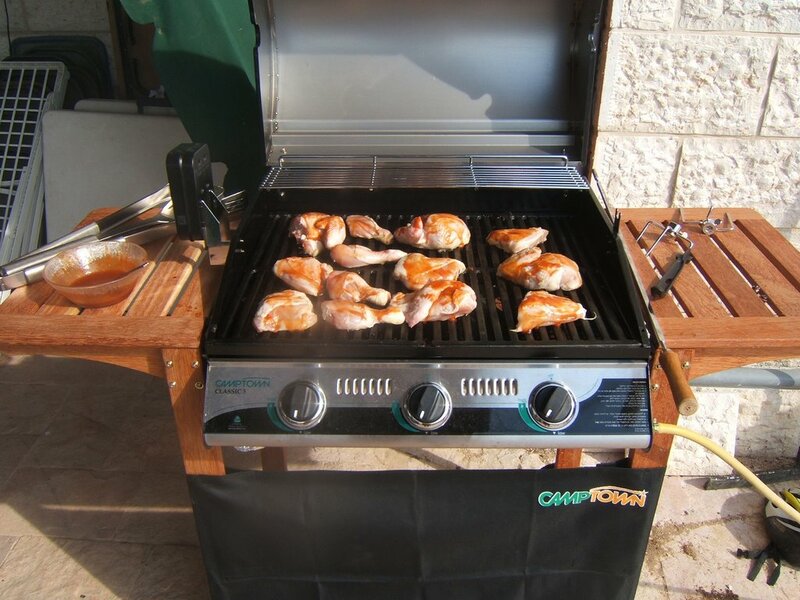 I was thinking of changing this year and building my sukka pre-Yom Kippur. I decided not to, not for any good reason, just out of habit. I did not want to change my minhag, if it can be called a minhag. However, I was thinking, perhaps in the style of the Berditchever, all those who wait to prepare for sukkot until after Yom Kippur can come to Hashem at Yom Kippur and say, "Look at us. We are forgoing the opportunity to accumulate one extra mitzva before Yom Kippur, just so we will be able to influence our actions for good for next year. Therefore look at us this Yom Kippur with the same love as if we had done the mitzvot early, for we are postponing them out of the same love as those who are doing them now." 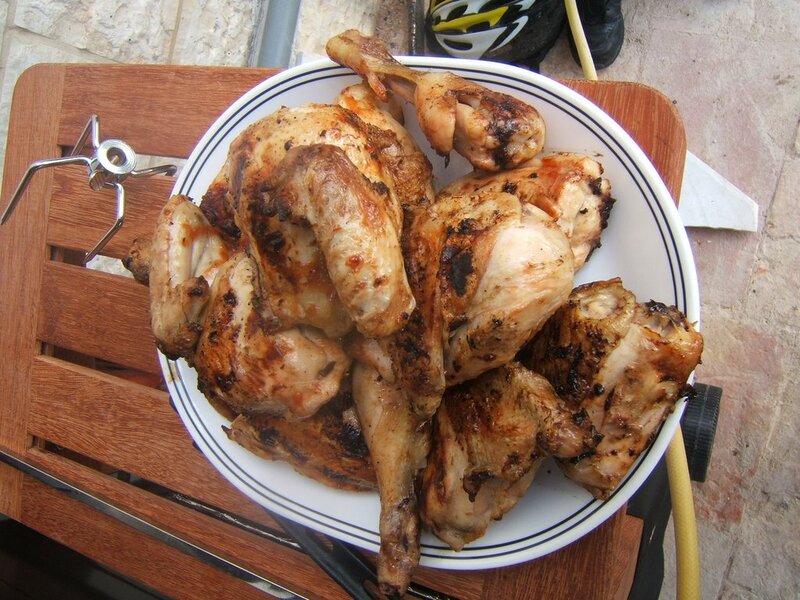 Gmar Cha(s)(t)ima Tova to all of you.